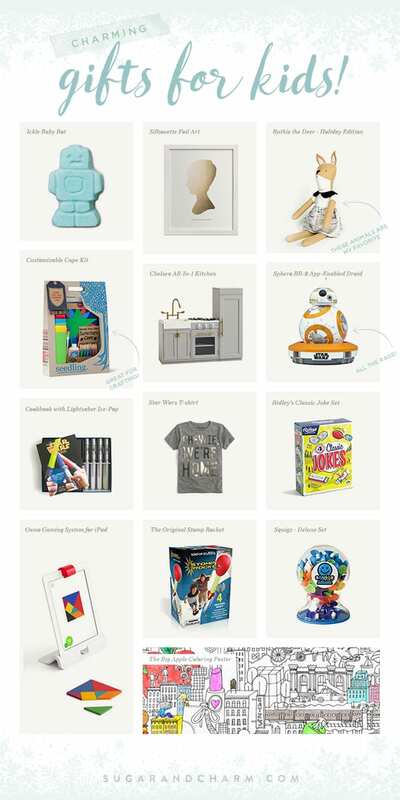 Sugar and Charm Holiday Gift Guides 2015 are here! 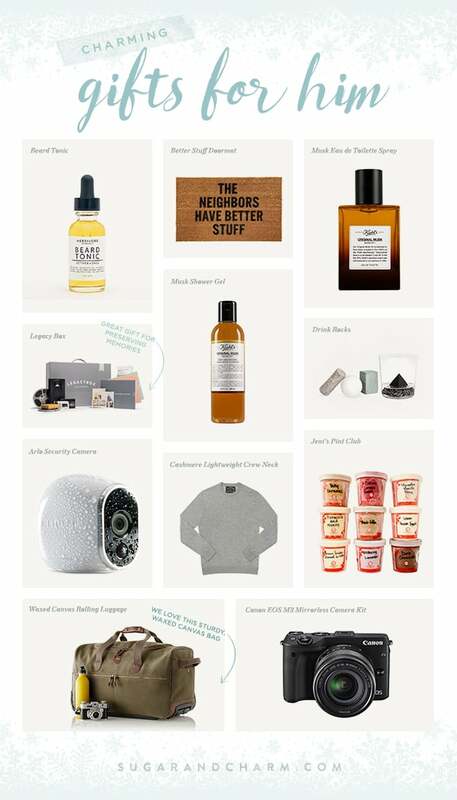 We’re super excited about our gift guides this year!! Gift buying can be challenging so hopefully we can help take some of the guesswork out of your gift buying this year! 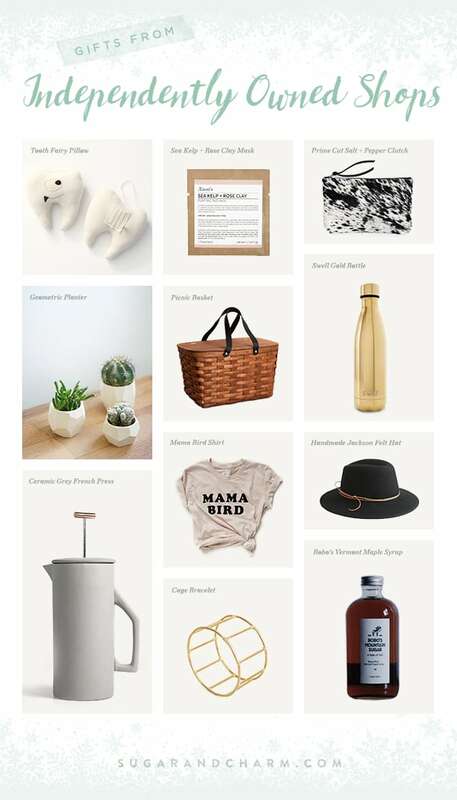 I wanted to feature items I love, my family loves and the team here at S&C loves. 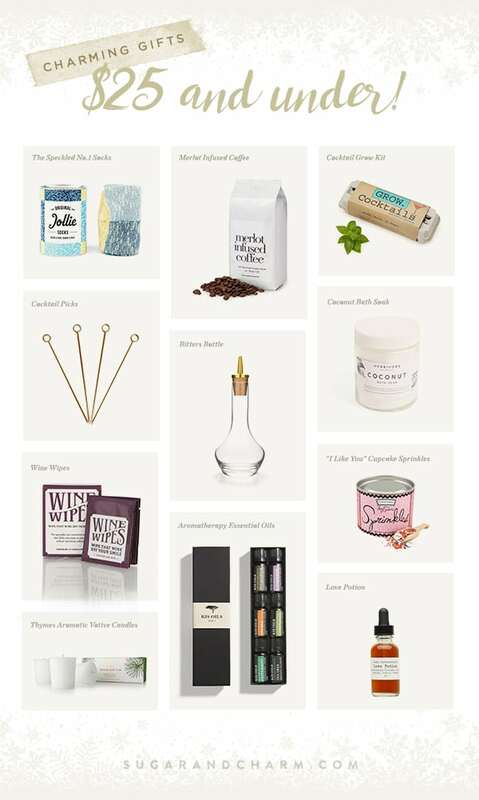 So, we have a wide variety of cool items that are cute and quirky, like the fun sprinkles, love potion and wine wipes and ones that are truly worth their weight in gold, such as the beloved KitchenAid, good pots and warm cashmere blanket you’ll have forever. The guys’ guide this year is awesome and so many of those items are absolutely our favorite! The legacy box is an awesome gift (and genius concept) for any guy who has a old VHS tapes or pics that need to be converted to digital. Also, the Arlo is the coolest security camera (it really is easy and amazing) and what guy wouldn’t want an ice subscription?! This kids’ guide was fun to pull together too. We have a tiny Star Wars fan running around our house, so adding some things like Lightsaber popsicle molds and Chewie t-shirts was a must! 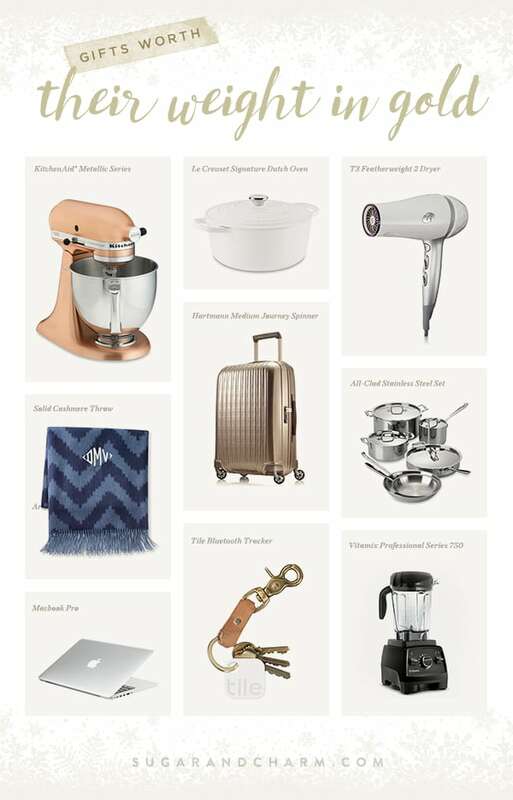 I also had the slightest panic attack when I saw that Pottery Barn Kitchen! Do you know how much I would have wanted that as a kid?! It’s pricey, but SO beautiful, haha! Osmo, Squigz and Stomp Rocket have all been hits in our house this year. So enjoy peeking around and I hope the Sugar and Charm holiday gift guides inspire your gift giving this season! !